So you got that beloved Amazon gift card for Christmas but you're not sure what to spend it on? Bluetooth speakers always make a great travel accessory option and just might be the best piece of technology that you can put your money down on right now. Although it’s not the newest innovation, the sound quality in speakers continue to get better and better, while costing less and less. There are not many places that I've traveled without my speaker in my backpack, as there is no better way to experience a new place with the best tunes. Ranging from small to large, colorful to plain, waterproof to luxury, these 10 bluetooth speakers will not disappoint. 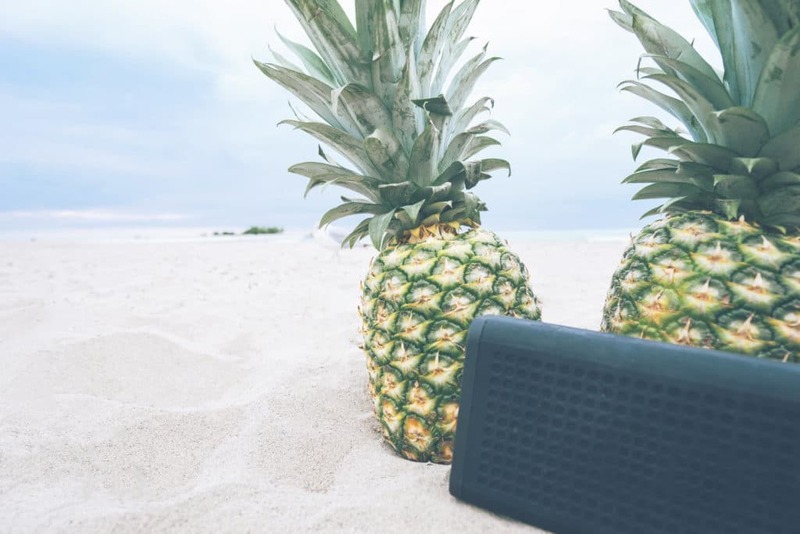 Whether you’re looking for super compact, large, rugged, or even waterproof bluetooth speakers, you’ll find a perfect match for your next trip on this list. Here's A Quick Side Note: This review is completely based on personal experience, as I have owned and enjoyed many different types of bluetooth speakers. Spending much of my time in the bush of Papua New Guinea, I would put my speakers to the true test. Rankings are in order of my personal favorites and how I feel that they held/could hold up. The chart below displays my top picks for the best bluetooth speakers, along with their ratings. Click "See Today's Price" if you want to know the current price for each one. We swear by these bluetooth devices. It is often easy to get a little homesick, even if you’re only away for a short time. Music has a way providing comfort or even creating pure excitement. Everywhere you go, you have a pop-up party in your pocket. Bringing plug-in speakers is far from ideal, as they can take up precious luggage space and be all around a pain to use. When traveling, you will not always have a place to plug in speakers, so the portable part about bluetooth speakers makes playing your tunes a breeze. You can use them around the house or in the office, too. Nothing makes cleaning your fridge more fun than listening to some tunes. While most people think bluetooth speakers are just for music, we love using them to listen to podcasts. Use them to share music. You can use them for hands-free phone calls. They're the best on-the-go travel accessory. It can be easy to just drop money on something that sounds good (literally), but there are things to consider before buying one. Will it end up just collecting dust on your desk, or will you constantly take it out and pump the jams? Do you need a bluetooth speaker or are you ok just to plug into computer speakers? 1. How often would you use a bluetooth speaker? If you are purchasing a speaker for one trip, instead of over long-term use, consider buying a less-expensive speaker to avoid breaking the bank. If you are looking for a speaker that you hope to use for the next few years, consider a higher-end one. 2. What’s the most important feature for you? Bigger doesn’t always mean better. But a big speaker is usually sure to deliver beefier bass. Bluetooth speakers sports thier own unique set of features; some with longer range, some charge your phone, some are voice-activated, some with stronger bass, some fully waterproof, etc. It’s important to compare the options and choose the best one for YOUR needs. For example, don’t buy a feature-packed speaker if it’s got a terrible battery life. Weigh your options. Some people prioritize volume, others want overall quality, a device with a lithium-ion battery, a waterproof speaker system, etc. The best portable speakers will meet all or most of your needs. Shop around before you commit to your purchase. 3. How Portable Do You Need Your Bluetooth Speaker to Be? Bluetooth speakers come in all sorts of shapes and sizes, varying from the smallest handheld size to something for a small concert venue or a tailgate speaker. If you want to take your bluetooth speaker along with you in a travel carry-on or backpack, then small portable speakers are probably the way to go. However, if you won't be carrying them around, you might want to buy a larger set of outdoor speakers with surround sound. 4. What Distance Range Are You Looking for In A Bluetooth Speaker System? You can find bluetooth speakers that connect at varying ranges. While most reach distances up to 30 feet (9 meters), some can reach up to 100 feet (30 meters). Of course the range all depends on what style and size you choose. It is important to consider if you want to connect from one end of your home to the next or play through walls at home or work. The sound should carry through. 5. What Type of Power Source Will Work Best for Work, Home, and Travel? Is there a power source available for your bluetooth speaker device? If not, what type of rechargeable battery or battery pack is required? If you're looking for the best bluetooth speaker, some have built-in rechargeable batteries while others have wall outlet plugs. For larger units that require a lot of output, battery replacement can be expensive. We highly recommend investing in a rechargeable station or perhaps downsizing in speaker size if you can't find another power source available. 6. What Kind of Sound Quality Will Meet Your Needs? Just because a speaker is larger or a sticker price is higher doesn't mean the sound quality of the music will be better. What determines sound quality is in the ear of the beholder (aka highly subjective). For example, some products have a bass feature while others have an adjustable bass and sound options. In the event that you have an mp3 player or other similar devices that are not bluetooth enabled, we recommend checking to see if your device has other options for connectivity. This way, you can avoid making unnecessary purchases for other devices. We’ve all been in situations where the money has burnt a whole in our pockets. It is easy to go out and see a shiny brand name speaker sitting on the stand calling your name. That’s the power of good marketing. A perfect example of this would be Beats by Dre. They are a brand name and their products look excellent. Even though they are everywhere, they don’t necessarily boast the highest quality of sound. It’s always important to weigh your options before purchasing your next investment. I must say, this is my favorite of any speaker on the market. Having put it through rough use for 3 months, then selling it to a friend, this speaker takes the cake. It doubles as a speaker and has a battery pack that can be used to charge an external device, like your phone. 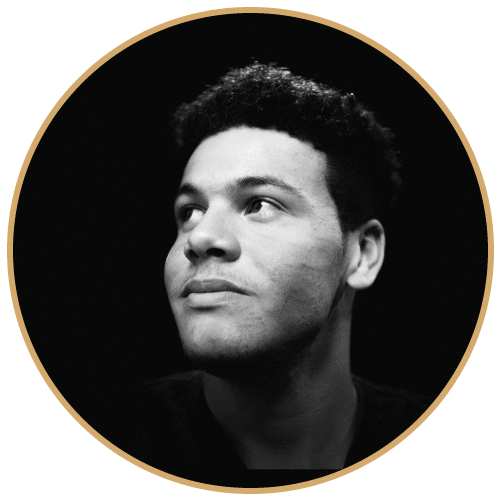 The bass is crisp, and does not distort at high volumes. It is also waterproof ( 1M for 30 minutes) and creates a cool effect when played underwater. It also is equipped with a built-in microphone for hands-free calling. 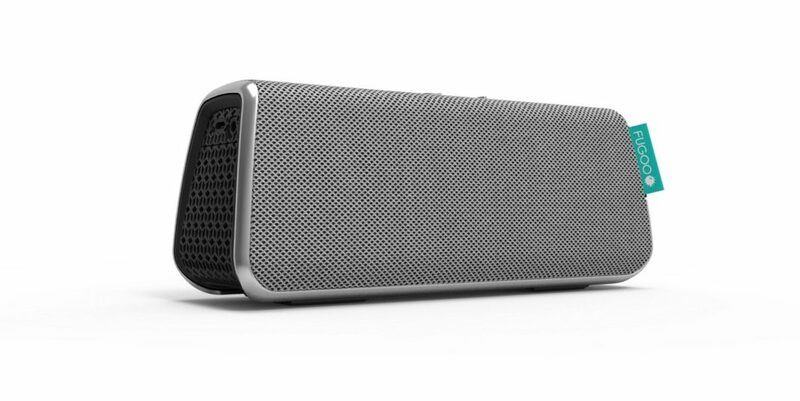 If you are looking for a small, ultra-portable speaker, this might not be the one for you, as it can be hefty in size and weight in a bag or even in hand. But don’t let that taint you, the JBL Charge 3 is a phenomenal speaker that literally gives you a bang for your buck. 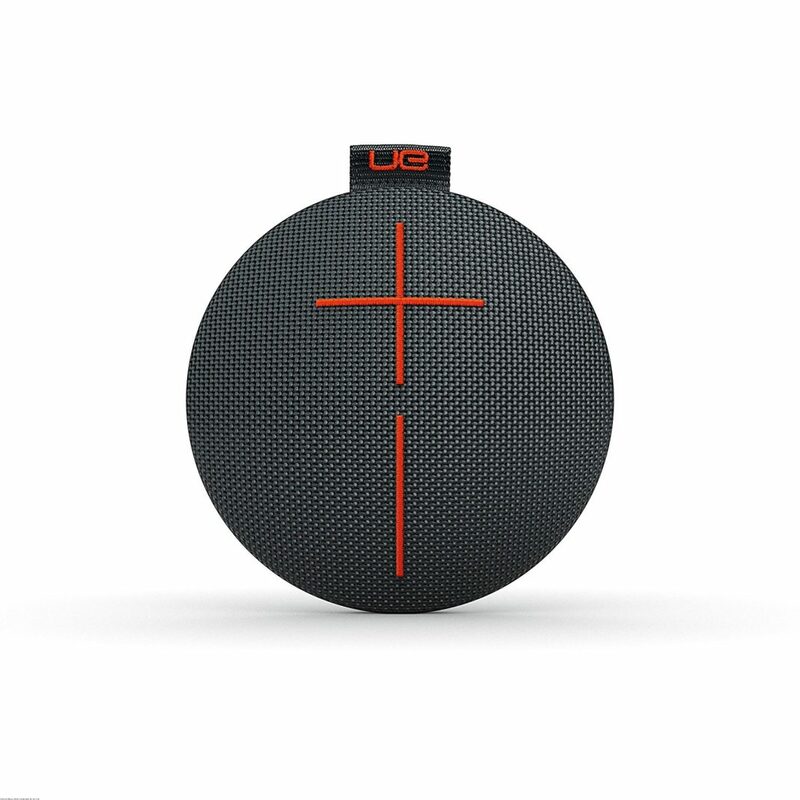 UE, or Ultimate Ears, hit a home run when they originally released the original UE Boom. It was affordable, it had excellent sound, good range, and performed well all-around. Since then, the company has released the UE Boom 2, which updates the internals in almost every way. It now responds to your voice, sports a waterproof body, and even boasts a more boisterous sound. This is the speaker I would recommend to any traveller or adventurer, as it is just the perfect size to throw in any bag. With it’s expensive line of products, Bose has made quite an exquisite name for itself. However, the SoundLink Color II is the revamp of the original SoundLink, which was a big step for Bose. My friend Miriam has the original model, and she absolutely tortures it. Surviving the elements and being dropped regularly, you would think it would have thrown in the towel. But it still plays like it’s brand new. 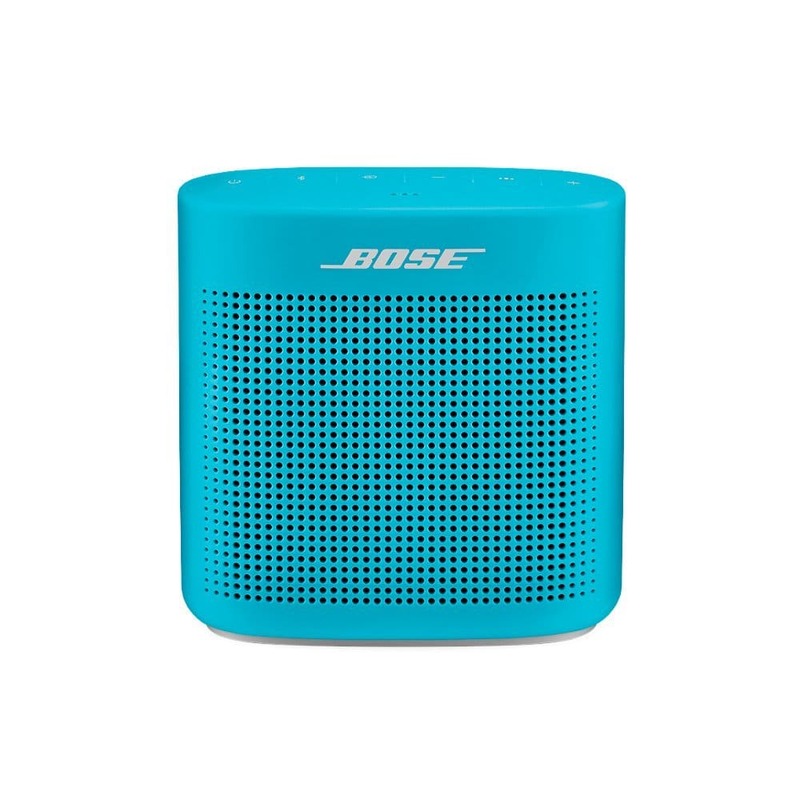 With a smaller price tag and more vibrant aesthetic, Bose set out to produce a new generation of it’s successful mid-range speaker. It’s certainly not jaw-dropping sound, but it does live up to its name. The JBL Clip 2 is an interesting addition to the bunch. When I first looked at it, I would have never believed the sound that this thing could produce. Once you connect to it, the sound is loud enough to fill up an entire room. It comes hooked with an industrial strength hook, that can be clipped to a hiking backpack easy. It is IPX7-certified, so don’t be afraid to make a splash. At this price, the Clip 2 would the perfect stocking stuffer for any adventurer. 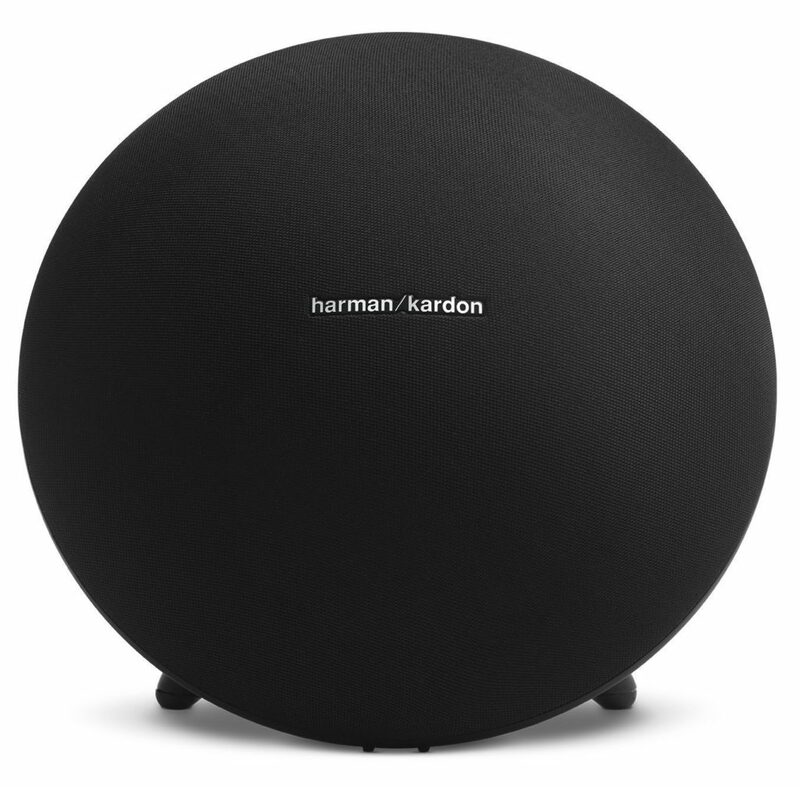 A little larger than your ideal throw-in-a-bag-and-run speaker, the Harman Kardon Onyx Studio 4 makes up for it in other ways. HK has really made a name for itself here with its bass-booming speaker. I first saw this speaker in a Sprint store where I was able to connect and play my favorite beats, but then when I saw the marked price of $250, I was turned off. After I found it on Amazon for $150 though, I couldn’t recommend a better “stationary” portable bluetooth speaker for the price. Although the speaker doesn’t support hands-free voice connecting, there is a button that you can press that lets you access Siri or Google Now via the HK Connect app. And if you’re into the crowd-DJ kind of thing, you can connect up to more than 100 supported HK speakers. If bass is your first priority, look no further. At first sight, the Oontz Angle 3 may look like the next cheap ebay speaker, but it’s sound says differently. Packing a punch, this 25$ speaker makes itself available to anyone looking for quality sound, but on a tight budget. Although it’s not fully waterproof, don’t worry if it gets a bit wet. Limited to a smaller range of functions, it’s simple enough for the first timer. After using it’s predecessor, the JBL Flip 3 for a year straight with heavy abuse, this is hands-down one of the best bluetooth speakers that $85 can buy. Slightly upgraded, the JBL Flip 4 supports Siri and Google Now at the press of a button. There are passive radiators on each end of the speaker, which show the pumping bass in action. 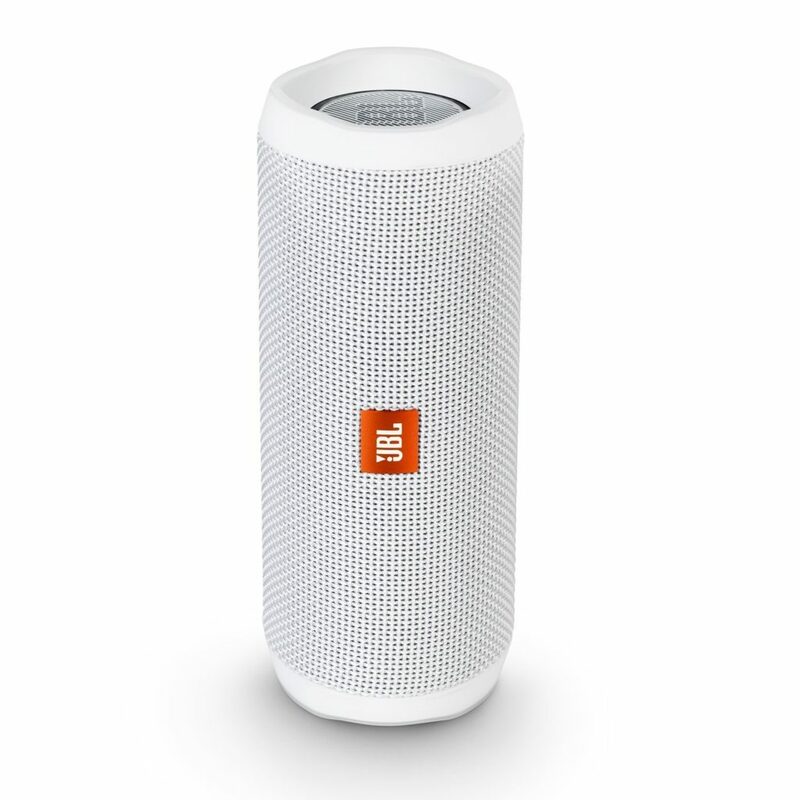 Often compared with the UE Boom 2, the JBL Flip 4 outperforms in many ways. It is half the price, and truly offers better sound. 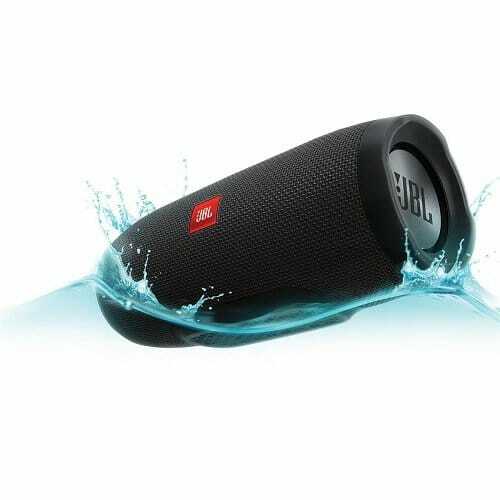 Although both are excellent, the JBL Flip 4 is just able to withstand more abuse in the outdoor world. 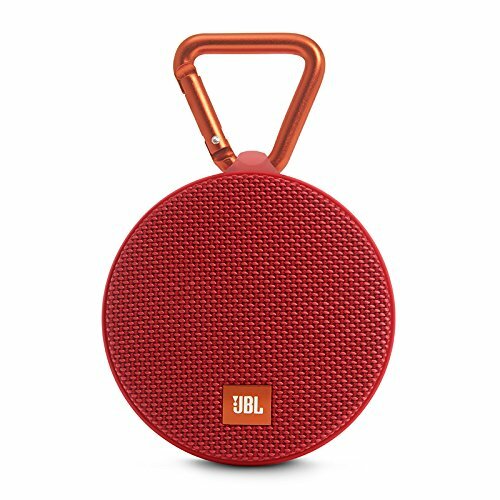 Considered as the little brother to the JBL Charge 3 (the first on the list), the Flip 3 is a more compact version. Offered in many different colors, this speaker will surely be a conversation starter. You guessed it. Another UE product. The company has really started to take over the bluetooth speaker industry, and this micro-speaker is nothing short of it. It is compact, fully waterproof, and it even floats in water. The bass is so good for its size that it almost confuses. Also great to attach to a bag or lanyard with its loop, the little speaker is a bit more chunky than others in its class. It’s a great little all-around speaker and now on sale for $80, it’s the perfect stocking stuffer. 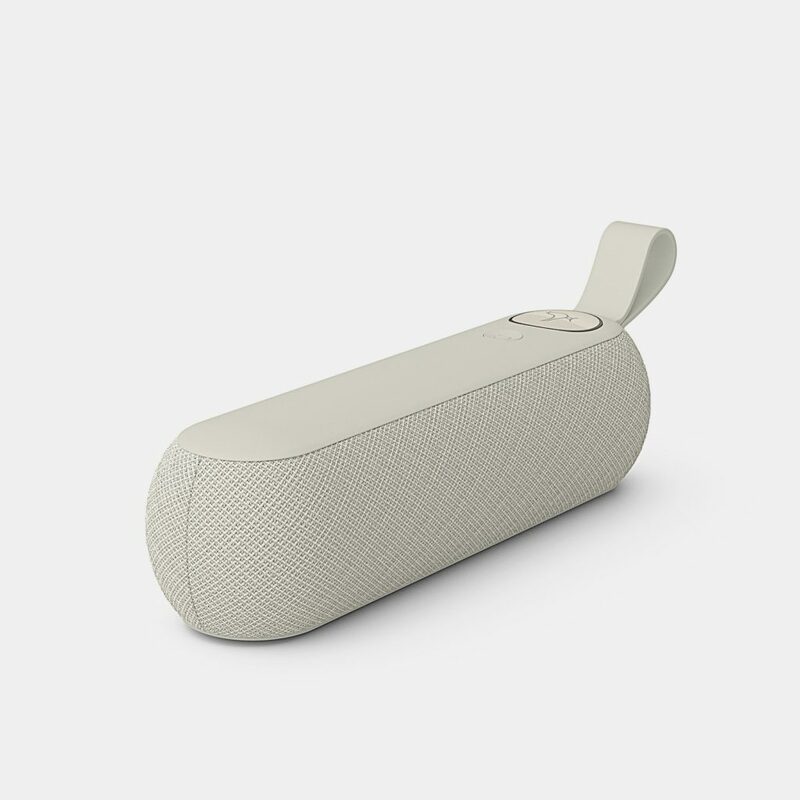 Another product from Danish designer, Libratone, this speaker is perfect for anyone who takes design as first priority. Like the iPhone of the smartphone world, this speaker wins at the design game. With minimal factors such as a the logo as a touch plate used for various gestures, the speaker is nothing short from fantastic. 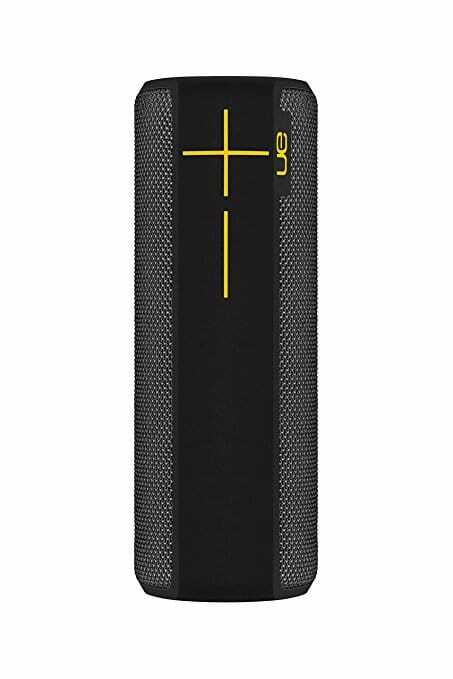 The bass is strong for such a small package, but isn’t quite as strong as its competition, the UE Boom 2. However, you’re really only buying it for its look. The list wouldn't be complete without an expensive option, so here’s the last call. Showing off a more signature Bose design, the SoundLink Revolve is just the speaker you should consider purchasing if design and sound quality are both musts. 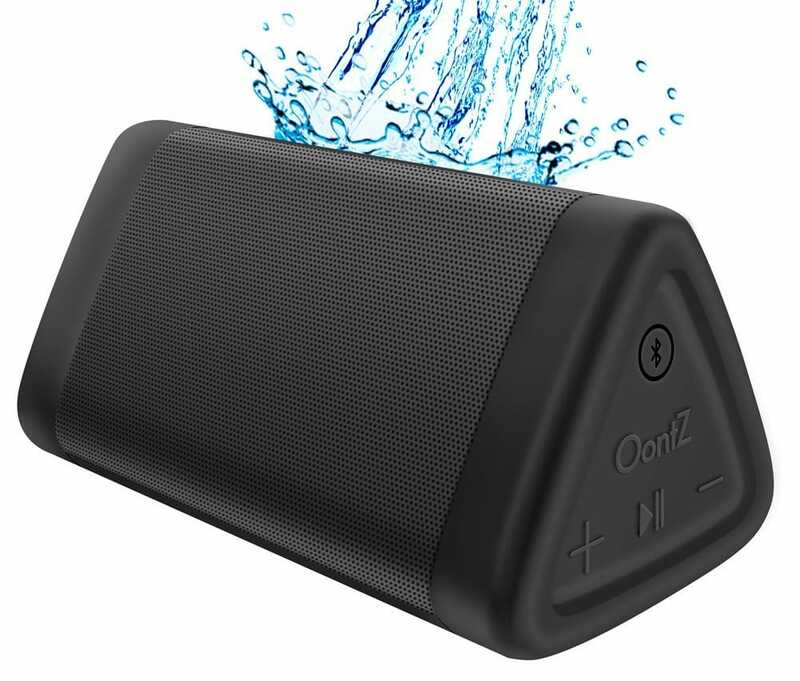 Although it is splash-proof, at no means does this speaker sport a rugged design. So don’t go throwing it around on the beach. The 360 sound, simply put, is the best 360 sound in any speaker under $1000. Not all wireless speakers are created equally. In the soundlink mini, Bose has combined custom engineered drivers with sleek anodized aluminum. The result is a durable speaker that looks just as good as it sounds. While its size is certainly small, it some how has the vava voom factor of a large speaker. 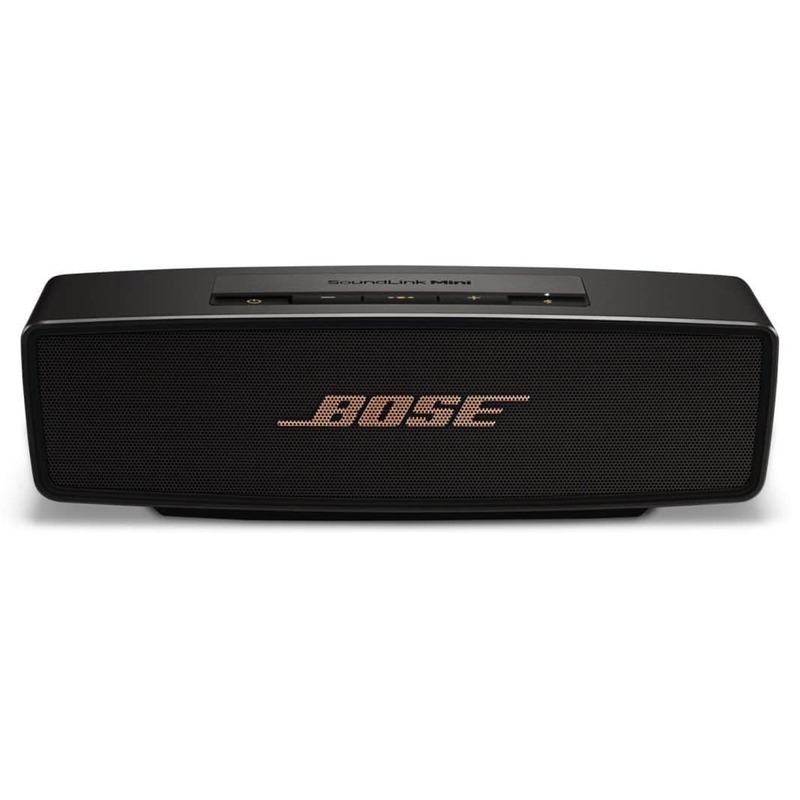 Its portable size makes it easy to enjoy Bose on the road, at home, in the office, or wherever you go. Besides the built-in speakers, there is also a built-in speakerphone. So, take calls from your friends, ask Siri to speak Swahili or chat up Google Assistant. It also works with echo dot for hands-free control. Voice prompts make bluetooth pairing incredibly simple. Listen to music for up to ten hours if you'd like. Your soundlink mini comes with a charging cradle so it's always ready for your on-the-go lifestyle. The big, bold, and beautiful sound of the Ultimate Ears UE Roll 2 provides the ultimate adventure soundtrack. The sound's so loud you'll probably have to shout to be heard. This ultra-portable wireless bluetooth speaker goes where you go with a stretchy attachable bungee. You can even attach it to your kayak if you want to. It's totally waterproof. Is this is chic clutch or a wireless bluetooth speaker? At first glance, you could never tell. 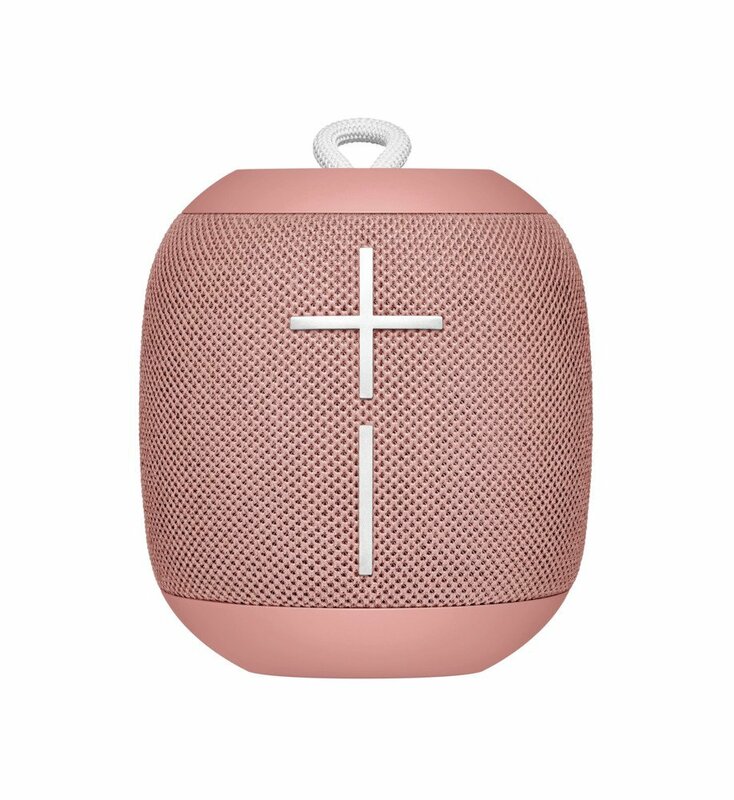 This is the Fugoo style, a durable stylish speaker featuring a stunning 40-hour battery life for those endless summer nights. With a speakerphone, Siri, and Google Support, along with a sleek, elegant jacket, the Fugoo style is the perfect combo of beauty and brains. At the amount of bluetooth speakers there are today, choosing one can be intimidating. Whether looking for a new travel companion, or simply a better way to play your music, any of the chosen 10 would make a perfect option. Don’t forget your tunes! Dedicated to my brother and friend, Braden Voss, and all of the adventures we had with our bluetooth speakers. the pros and cons on each wireless speakers are good, readers would really understand and differentiate each. They would know already on what speakers they want to purchased base on the review of this article. thumbs up! I have been using a JBL Flip 4 for a couple of months now and I couldn’t have put the pros better. A really nice article, enjoyed reading. 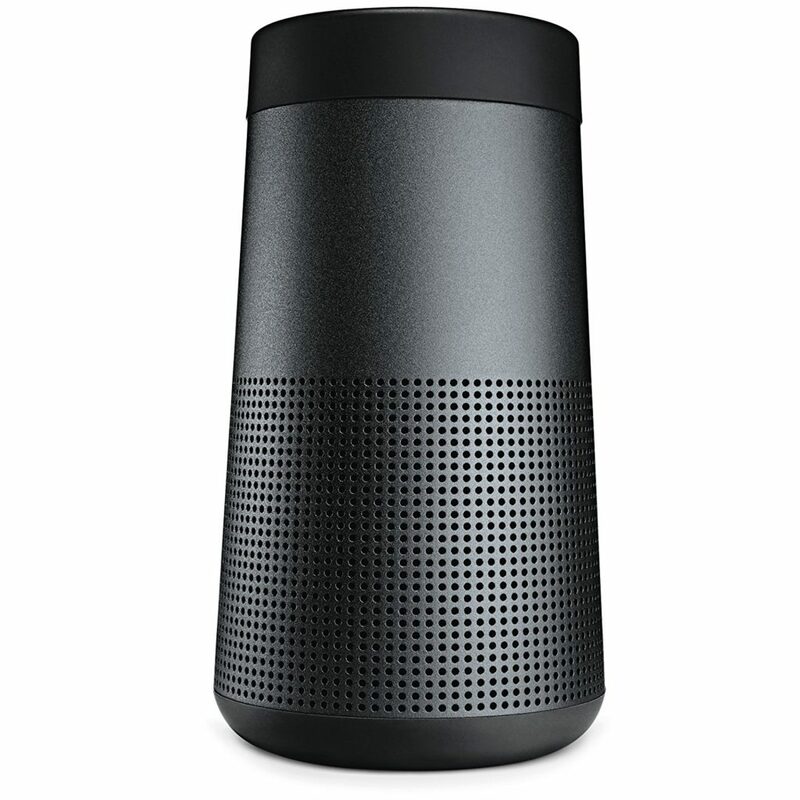 -The ​Bose SoundLink Revolve is the best option when it comes to quality and speakerphone features, though it is a little pricy. -The Libratone TOO for an affordable option with great speakerphone capabilities. Similarly to the Bose SoundLink Resolve, it has a built-in microphone so you can speak into it from any angle. -The Oontz Angle 3 if you’re looking for a cheap option that sounds clear for calls but doesn’t have the best quality for music.